Finally #Apple refreshes the #iPod brand. It feels like forever since they have done anything with the line. I'm all for this. Apple hasn't released a product that I have been interested in a while. Each product just seemed like more of the same. 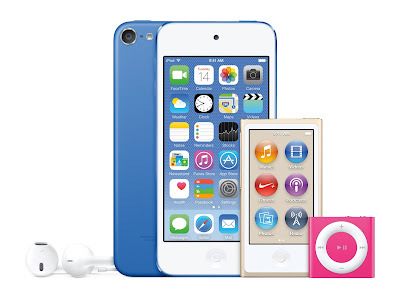 This iPod doesn't really change anything as its just an updated model of the last one they have released. What makes this worth the upgrade to me is the camera and the faster processor that is found in the iPhone 6. I really wish they added the OIS (Optical Image Stabilization) from the iPhone 6 Plus but I could live with out it. In the end I really digging this new iPod. I will be picking up the Space Gray one. Will you pick up a new iPod?